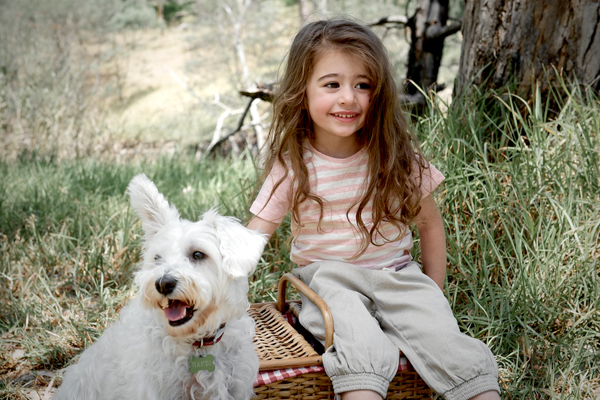 FK chats to HJ of fun & playful kids label HANBI kids, inspired by a cute West Highland Terrier! 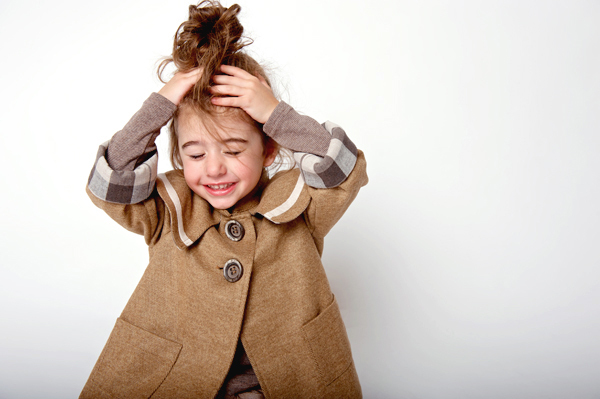 Can you tell us about your lovely label HANBI kids and where the name comes from? Hj and Ilya were inspired by their lovely little dog [Hanbi] to develop this adorable character and gorgeous kids label, for boys and girls aged 2 – 6 years. 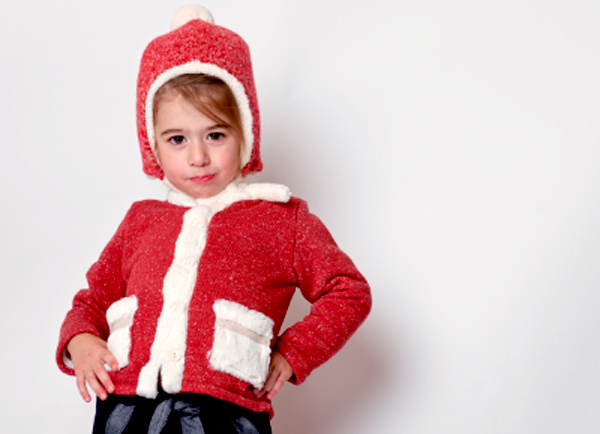 Their endless passion for fashion, photography and art has created a unique fashion label for playful, free-spirited kids. A contemporary yet timeless urban feel with minimalist colours creates a strong sense of style. Each garment in the range is designed in Melbourne with head-turning aesthetics along with comfort and practicality. Every detail from the buttons, trims and zippers to the fabrics themselves are all carefully selected and of premium quality. Hanbi is the name of our little puppy (not little anymore.. :P) HANBi has a West Highland Terrier mummy and Schnauzer daddy. If you know them, you can see why one ear is up and one ear is down. (Half from mummy, and half from daddy) The meaning of HANBi is ‘Beautiful wings’ in pure Korean. Her ears flapped as a little puppy when she was running towards to us – it was gorgeous time!! Hanbi was a popular puppy where we lived in Canterbury, Victoria. People adored her so much because her one ear was always up and looking scruffy. Ever since we have had her, I always drew little Hanbi character faces whenever I wrote to others, such as birthday cards or any messages, and soon it became my signature. That is how Hanbi was created! I draw her face thousands of times on the computer, finally our logo was created. One ear up puppy dog. We love the name & our logo! I hope it makes other people and children smile & happy as we do when we look at her. I studied Industrial Design in South Korea (Seoul), also fashion design at RMIT (Melbourne). When I was in Korea, I worked for a company that has many clients in USA such as BCBG MAXAZIRA, JOVOVICH HAWK, MEGANE LOS ANGELES… and so on. I always wanted to create my own designs/label as I was working with such creative people, and I really enjoyed delivering first samples for them. It was great fun sourcing fabrics, trims and giving life to designs that started on paper. Also, I worked in a fashion wholesale agency that brought international labels as well as local brands to Melbourne. I was also doing window merchandising for them which I really enjoyed. Visual merchandising is also one of my favorite aspects of fashion. Ilya is photographer, brand creator and my husband. He helped me in many ways to create HANBi kids. He has very good sense of design and business. He has given me lots of valuable advise based on his experience on his business for last 10 years. We have a great team together. We both strive to deliver the best quality garments & service to our customers to enjoy what we love about Hanbi. 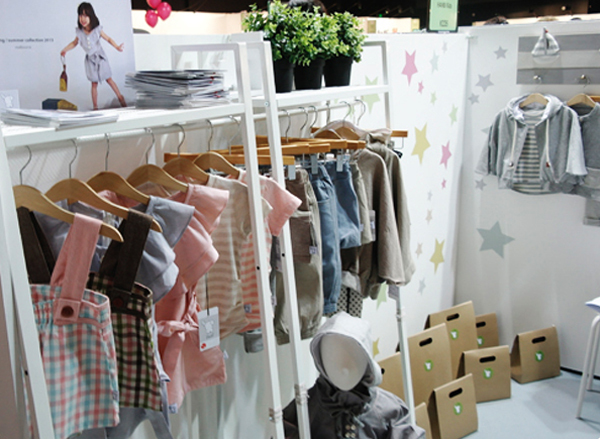 What do you love about working with kids clothing? I’ve always loved kids – little ones. When I am working with children’s clothes, I get to see all these gorgeous faces from all around world. It makes me very happy. One day, my nephew Aidan was wearing a very cute winter duffle coat (looks like a blue Paddington Bear coat), my mother in law told me that it is from Aidan’s fathers (my brother in law) when they were in England over 30 years ago. I was amazed that this coat still looks great after so long. It certainly didn’t look like it has lived more than 30 years. And she told me about all the beautiful memories of the blue coat, of England, of her baby son. She was very proud to tell me how she kept this gorgeous coat and handed down to her grand son. This really inspired me. I wanted to make brilliant quality clothes that last a long time and give people memories that can be passed down. Melbourne is a city full of creative and inspiring activities. There are always wonderful local galleries showing work from talented local artists as well as epic exhibitions at the NGV. We are always discovering new little coffee and breakfasts places to relax away a Sunday morning – with our little puppy in tow of course. We really enjoy food, and Melbourne is constantly surprising us with tasty plates to feast from. Melbourne is also very dog friendly. 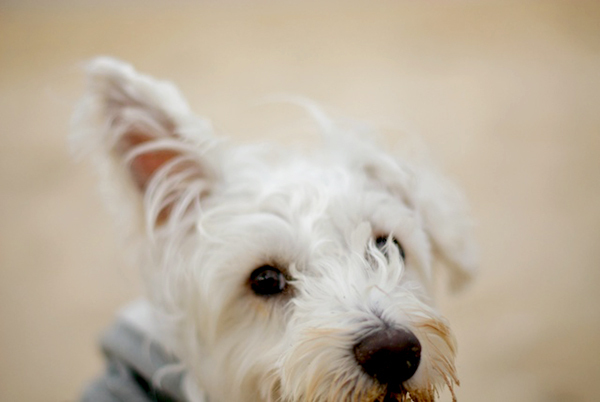 We love taking Hanbi to doggy parks in the evenings and on weekends and frolicking with other dogs. 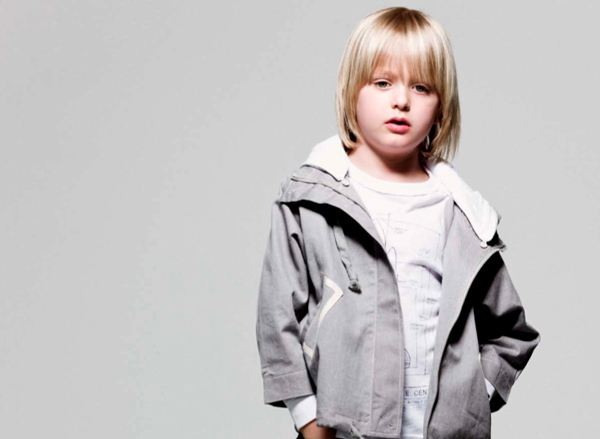 Understanding the design aspects (comfort, design, function) of children’s clothes wasn’t easy. Even though I worked in fashion production for years, it is totally different when working on children’s lines – looking good is important, but function is extremely important for mothers (and kids). It is certainly challenging running the business as well as designing, sourcing fabrics and managing the manufacturing process while also selling. It’s difficult, but I am loving it. I grew up with lots of kids around me as I am the oldest one amongst my cousin. When I was a little girl, I had my baby cousin tied to my back while entertaining four other little ones… as well as my little brother. I love being around children and now providing a product that makes them smile brings me great joy. It’s always great fun learning something new, dealing with manufacturers, retailers, customers and my accountant. As we all know, running a business of your own requires lots of energy, time and effort. Now I am running the business as well as learning as I go. I am very lucky that we had lovely responses to our garments from the beginning of our journey – this has given me enormous energy to keep designing and producing. What new plans do you have for HANBI kids this year? Beautiful images, thanks for sharing it. Thank you very much for introducing us. Hanbi, ilya and I, we are all very excited!! I really like the first picture. It is a gorgeous coat, I love the large pockets too. It looks comfortable and roomy. I love the fact the named a brand after there dog and that there dog is such a cutie. Their clothes are just fabulous. There will be so many designer kids out there in their clothes.